I never really liked Rush growing up. The Canadian band, by the time I got into heavy rock music, had a big (almost cult) following and were very popular amongst my peers. At the time I was into the likes of KISS and bands like Pink Floyd even passed me by. So the somewhat flowery music that I envisaged Rush to be playing wasn’t really given the time it deserved. Deep lyrics compared to “banging” throw away words that could have been put together on the pack of a cigarette packet didn’t satisfy my musical appetite as adolescent or late teenager. With time and the desire to see certain bands before they stop touring altogether, Rush announced that they were coming to Helsinki. This was back in 2011, the Time Machine Tour. And I haven’t looked back. I got my hands on their back catalogue and went through it all but focusing on what they were playing on tour at that time. 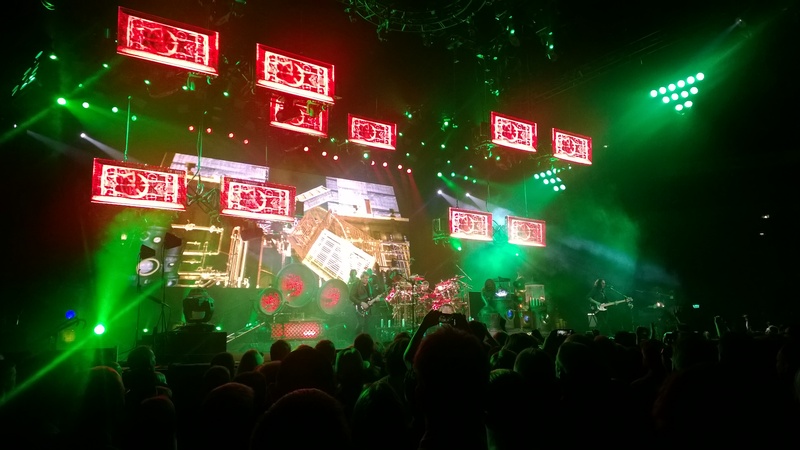 Moving Pictures was their focus album… and seeing this and other brilliant tracks performed live totally converted me. You know how bands get into a zone only sometimes playing live? They had a section within their gig that was just mind blowing. 2 years later they were back promoting their Clockwork Angels album. Again, awesome gig even though there focus was newer, more unfamiliar stuff. In the days of Wikipedia, it is of course very easy to get information on absolutely anything. However the documentary showed how Rush grew up as kids, what their influences were and where it all started musically. I was aware of the great tragedy that surrounded Neil Peart but never investigated this further. The documentary explains some of the feelings of the band around such a difficult time. At times, the interviews were very personally and it was a fascinating insight into the lives of such fantastic musicians. And of course, there was tonnes of great music within, and interesting comments by other rock artists who were obviously greatly influenced by Rush.